Andy Taylor is one of Australia’s most experienced cinematographers, he has been an accredited member of the Australian Cinematographers Society (ACS) since 2002. He has won five prestigious Walkley Awards for Cinematography and twenty-six Australian Cinematographers Society Awards. 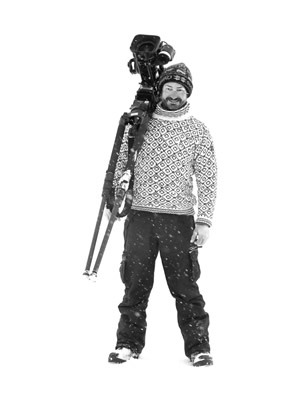 Andy is currently a freelance cinematographer based in Sydney, filming documentary, factual, lifestyle, travel, promo’s, corporate and online content. He has extensive experience shooting drama, short films and music videos. His recent clients include: The Nine Network, Seven Network, ABC Factual, Essential Media, Foxtel, Kundu Productions, Two Four Broadcast (UK), Telstra Broadcast, Enthral and Legacy Media. Andy has filmed corporate productions, behind the scenes and online content for: NAB, McDonalds, Mercedes Benz, Jaguar, Virgin Australia, Canon, Fujifilm, NBN Co, Nokia, Contiki, Camilla & Marc and Energizer Australia. From 2009 until 2017 Andy was a senior staff cinematographer at 60 Minutes Australia, filming stories covering every genre, including: human interest, true crime, wildlife and adventure, science and medical, politics, celebrity profiles, wars, riots and natural disasters. Previously he held the position as Senior Cameraman at the Australian Broadcasting Corporation where he worked for 25 years based in Sydney, London, and Moscow. His ABC shooting credits include 96 complete episodes of Four Corners, plus stories for Foreign Correspondent and Australian Story. Andy has also worked for several foreign broadcasters including: National Geographic, Dateline NBC, CNN and the BBC. With over 30 years of experience and the latest 4K cinema quality cameras, lenses and drones, Andy consistently delivers the highest production standards. He is easy going and reliable with a positive attitude, working quickly and efficiently with all production staff, presenters and talent. Andy is a CASA certified drone pilot, holding a remote pilots license and operators certificate – RePL & ReOC, He has been flying RPA/UAV since 2013 and currently owns a DJI Inspire 2 and a Mavic Pro. Andy is also a PADI Advanced scuba diver, with Nauticam underwater housing and lights for the 5DMk3. His work has taken him to over 110 countries and territories, filming royalty, rock stars, politicians, warlords and terrorists, often in the most amazing locations around the globe: USA (35 states), Canada, South America, Europe, Asia, Africa, the Middle East, Australia and the Pacific. Andy has covered many wars and conflicts including Iraq, Afghanistan, Israel, Gaza, Kuwait, Saudi Arabia, Libya, Rwanda, Zaire, Angola, the Balkans, East Timor, PNG, Northern Ireland, North Korea and the former Soviet Union, as well as major natural disasters including earthquakes in Fukushima, Haiti and the 2004 boxing day tsunami in Ache. Andy is no stranger to difficult and dangerous situations, he has been shot at many times, shelled, ambushed and attacked, arrested by the KGB, kidnapped by the IRA and confirmed dead in a plane that was shot down over the Black Sea. Exotic assignments Andy has filmed include; scuba diving with leopard seals in Antarctica, bull sharks in Fiji, crocodiles in the Okavango Delta and wreck diving at the Bikini Atoll nuclear test site. Andy has also trekked through the Amazon Rainforest, the Kokoda Track, to Everest Base Camp, the summit of Mount Kilimanjaro and camped on the rim of active volcanos in Vanuatu. He’s been on safari in the Masai Mara, explored the Crystal Caves of Mexico, the tunnels below the Gaza Strip, followed the anti-kidnapp police through the Brazilian Favela’s and raided people smuggling boats off Indonesia with the Australian Navy.